CNN Resignations A Sign Of The High Stakes In Covering Trump's Administration : The Two-Way Three investigative journalists have quit after the network retracted a story about a congressional inquiry into a link between Trump adviser Anthony Scaramucci and a Russian investment fund. Anthony Scaramucci, an adviser to President Trump, was the subject of a story posted to CNN.com that was eventually retracted. Three journalists resigned over the story, and CNN has apologized to Scaramucci. Three investigative journalists at CNN have resigned after the network retracted a story about a congressional inquiry into a link between a Russian investment fund and an American financier who is an adviser to President Trump. Those departing are a past Pulitzer Prize winner, a finalist for the award and a senior editor who had been at CNN since 2001. The resignations are a sign of the stakes for CNN. The cable channel has beefed up its investigative team with major hires from The New York Times and the Los Angeles Times, among other outlets, to add more reportorial heft to its coverage of the Trump administration. The network also routinely bears much of the brunt of Trump's rhetorical attacks on the press. CNN's Jim Acosta gets into almost daily skirmishes with White House press secretary Sean Spicer over questions about the administration's transparency. The retracted piece was posted to CNN.com last Thursday under the byline of reporter Thomas Frank. 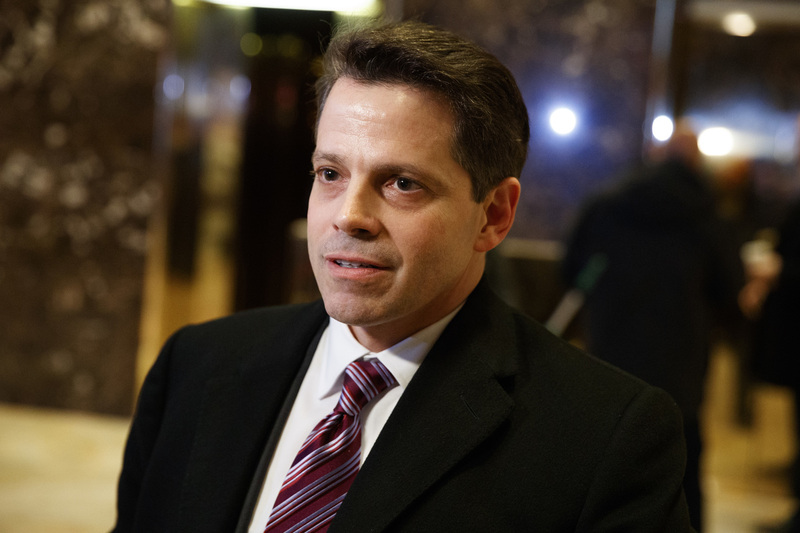 The story, which hinged on an unnamed source, said that Senate investigators were looking into a meeting between Trump adviser Anthony Scaramucci and the CEO of the $10 billion Russian Direct Investment Fund just days before Trump's inauguration in January. Scaramucci denied he had done anything wrong, and some of the article's characterizations soon came under challenge. On Friday night, CNN removed the story from its site. After being contacted by a reporter for BuzzFeed, CNN posted an editor's note retracting the story, saying it did not meet the network's editorial standards, and it apologized to Scaramucci. Scaramucci, who had been said to be under consideration for a post in the administration, accepted the apology on Twitter. As senior news executives reviewed the story's evolution, they found red flags that appeared to have been ignored, according to a person with direct knowledge of the events at CNN. Officials within CNN's standards and practices unit had raised concerns about several elements of the story, including the reliance on a single source, and others at the network were surprised to see it had been posted anyway. The network did not conclude the report was conclusively wrong, according to the person with knowledge of the incident, but said executives believed it was not solid enough for publication. Those who resigned Monday were Lex Haris, the executive editor of CNN Investigates who is a veteran editor at the network; Eric Lichtblau, who edited the piece and had shared a Pulitzer at The New York Times for his reporting on warrantless wiretapping during the George W. Bush administration; and Frank, who had been lured away from USA Today, where he had been a Pulitzer finalist. None of the three journalists responded to NPR's requests for comment. "On Friday, CNN retracted a story published by my team. As Executive Editor of that team, I have resigned," Haris said in the statement. "I've been with CNN since 2001, and am sure about one thing: This is a news organization that prizes accuracy and fairness above all else. I am leaving, but will carry those principles wherever I go." Earlier this month, CNN had to correct another story in which Lichtblau was involved; it claimed that former FBI Director James Comey's congressional testimony would contradict Trump's claims that Comey told him several times that he was not under federal investigation. CNN's Gloria Borger went on the air and said Comey would testify that it would not have been proper to do so. Neither contention proved to be true. Comey testified instead that he had given Trump assurances that he was not personally under FBI investigation. CNN corrected that earlier story, but it put more attention internally on Lichtblau, who had shared the byline with Borger and two others and who had also edited the piece, according to the CNN source. Some conservative journalists who have been critical of CNN gave the network high marks last night. Seth Mandel, the op-ed editor at Rupert Murdoch's conservative New York Post, said conservatives should praise CNN: "This is pride-swallowing, grownup stuff." CNN executives, from CNN Worldwide President Jeff Zucker on down, believe they cannot get stories wrong given Trump's willingness to attack the network. And the president did not miss the opportunity that CNN's most recent misfire offered, tweeting frequently throughout the morning on Tuesday. In one, he wrote: "What about all the other phony stories they do?" In another, Trump retweeted someone else's satiric logo FNN — for "the Fake News Network."